click on any image for large version…. Well that didn’t take too long. 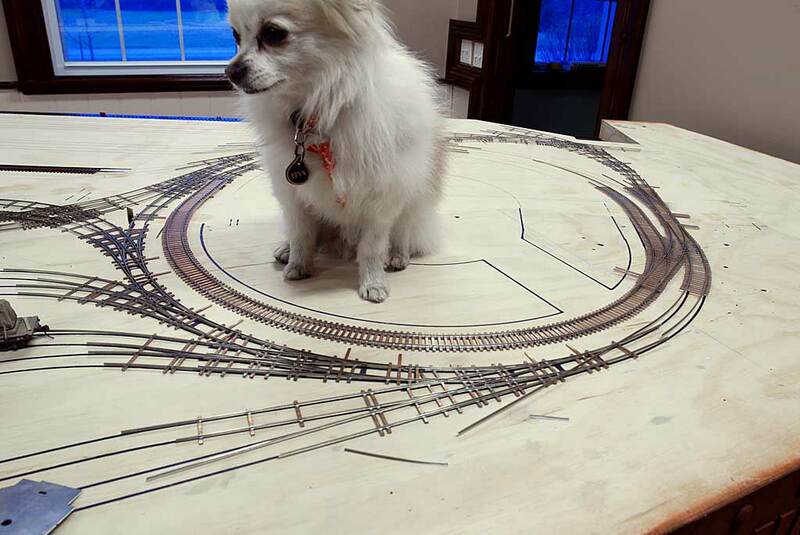 I re-read where I left of on the trackwork construction and realized it was exactly one year ago today I posted the 3D drawing for this section, and figured I would have it done in two days. 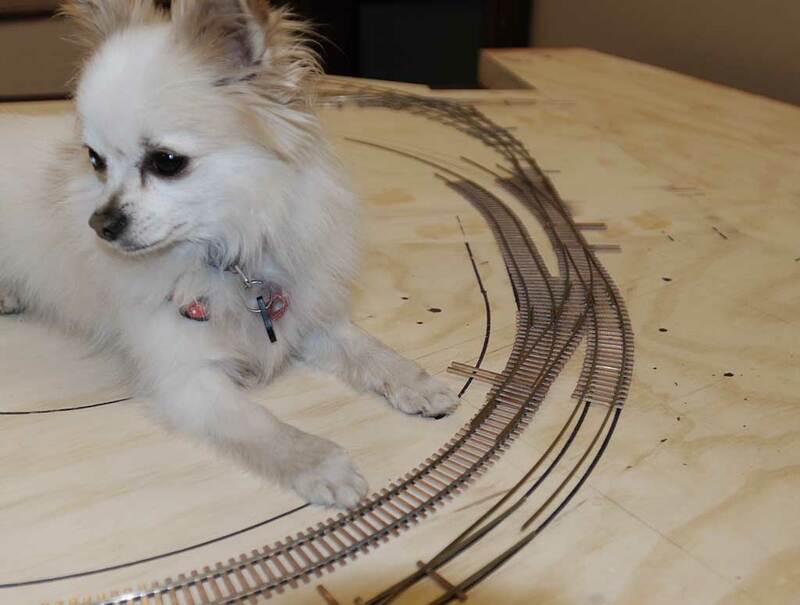 Talk about getting distracted. Anyway, I built part 7 this weekend and it turned out well. You might notice I did this section a bit different than all the other pieces, I have decided to use all PC board ties. 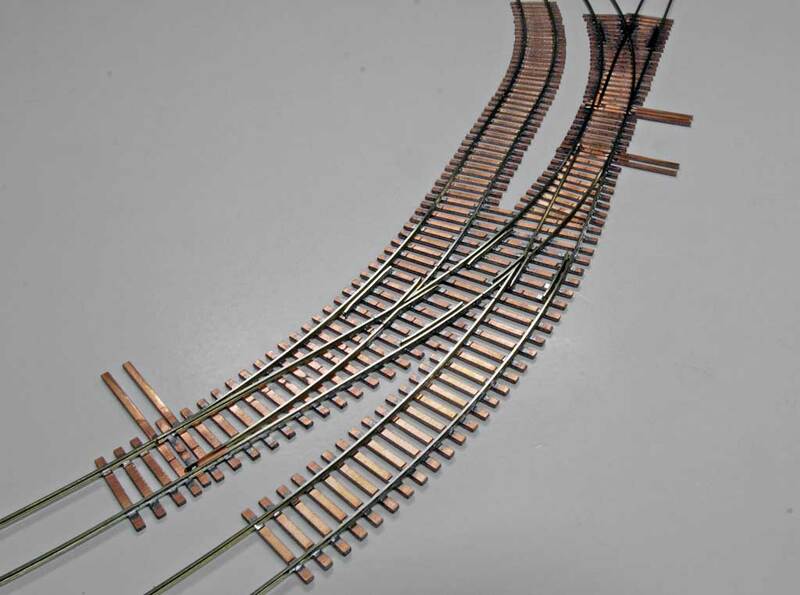 Initially I was going to laser cut wood ties to complete the trackwork, but after giving it some thought I figured it would be easier to simply use all PC boards. 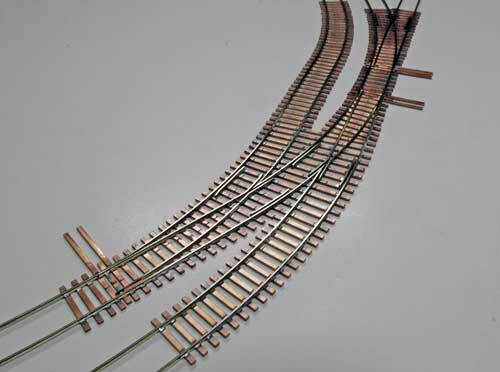 Using all PC board ties will ensure extremely strong trackwork, it will be quite durable, which I am looking for as I intend on moving this layout around a lot. 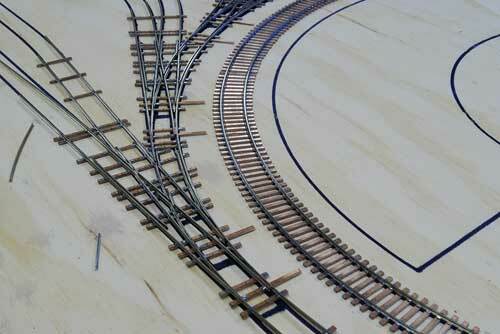 The downside is I have to go back and add in all the missing ties in the previous sections of trackwork. 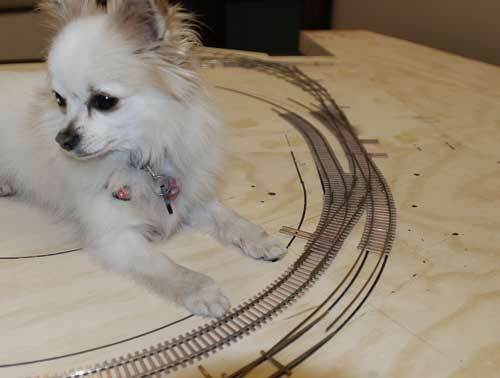 I will likely do that as I mount the sections to the layout permanently. Also a bit different with this section is where I am gapping the PC board ties. 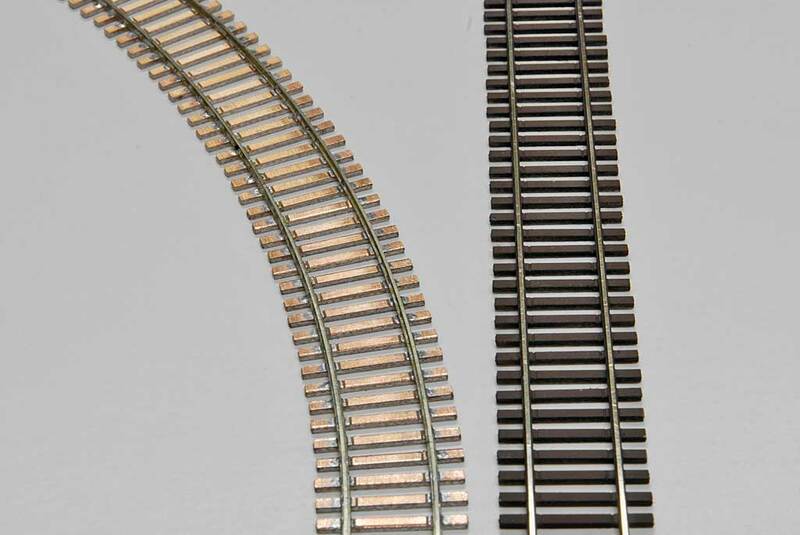 To help keep the gaps less noticeable on the finished trackwork I moved them closer to the edge of the rail. Since all the ties will be PC boards and have gaps I wanted to ensure an obvious line wasn’t right down the middle of all the ties. On a typical turnout a few ties with gaps goes un-noticed, but every tie gapped might stand out a bit. 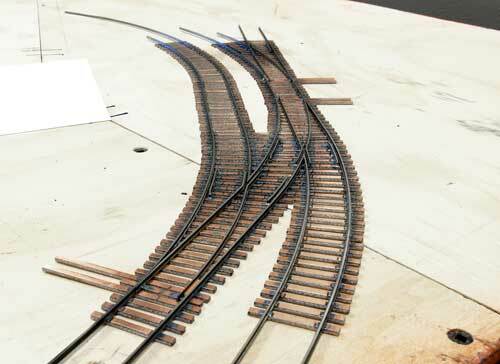 The gaps are very hard to spot on the non-turnout portions of this trackwork. 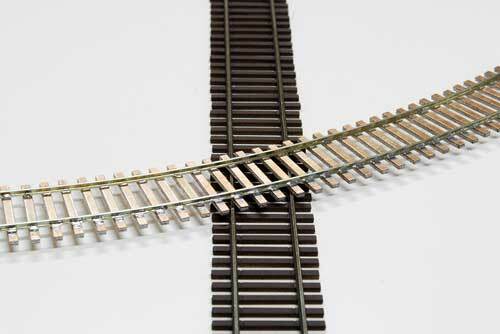 They are two gaps per tie, beside each rail. Curved crossover in place (right side of dog). 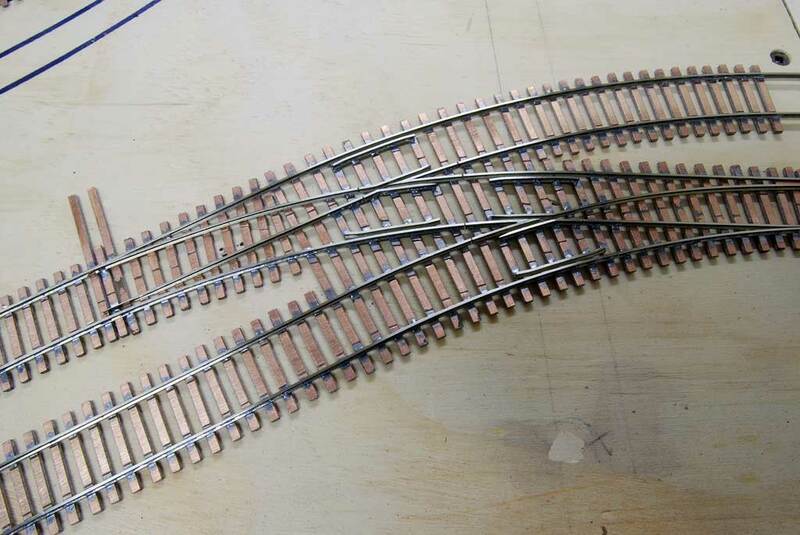 I also built some sections of curved and straight track, again with all PC board ties. 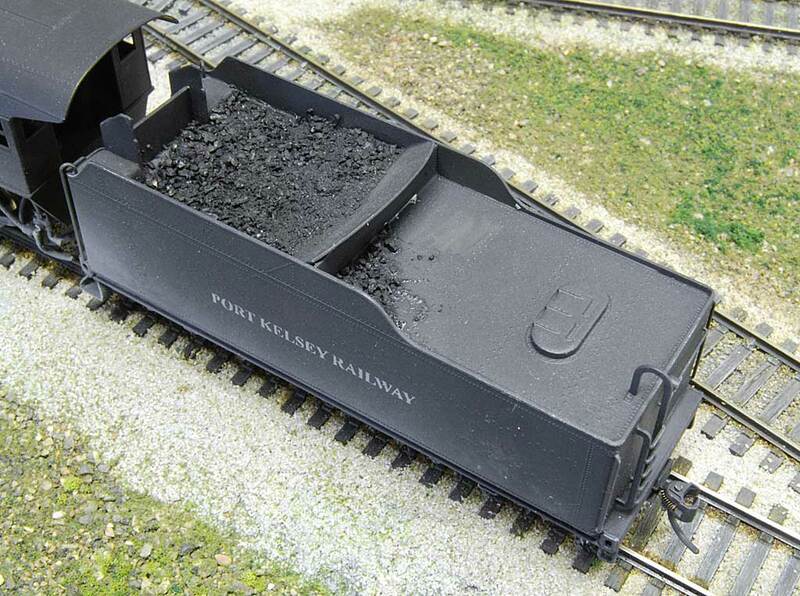 This is a section of 90′ radius (12.5″ in HO) curved track that is adjacent to the freight house. Represented here by a dog. Unpawsed version of same location. 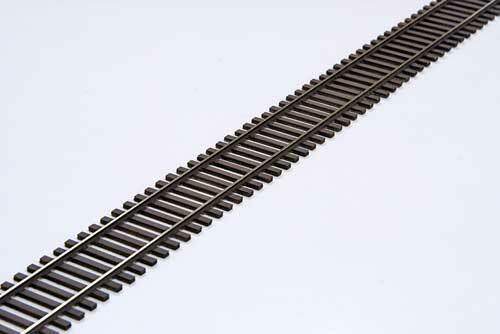 When primed and painted the all PC board tie track looks great! 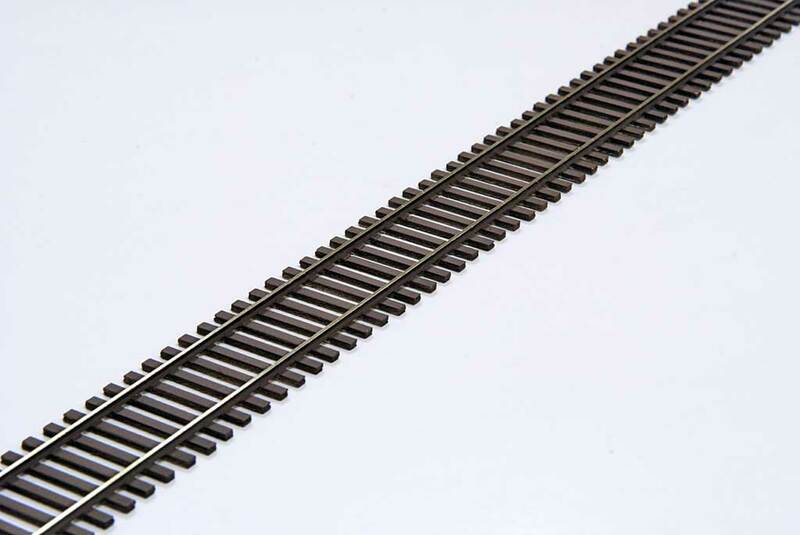 In the coming months we will (finally) be releasing fixtures to build straight and curved lengths of track along with double gapped PC board crossties in all scales and gauges in a large variety of radii. 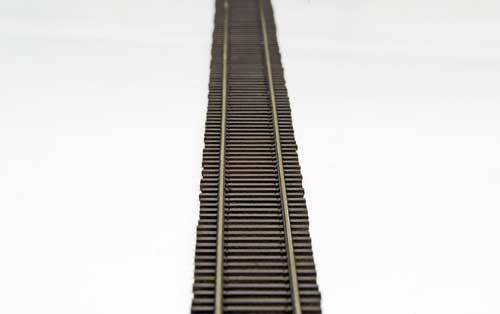 Keep an eye on the Fast Tracks site if you are interested. Well that didn’t take too long, only a year. 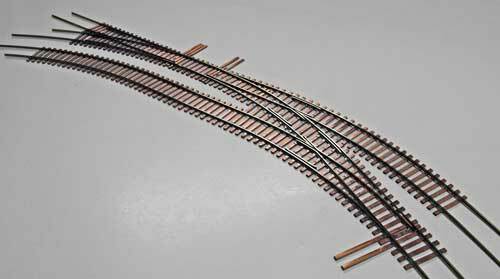 This is the second to last complicated piece of trackwork for the terminal, the next piece is a pair of curved turnouts leading into the wye. After that there is only a single turnout at the wye and all the remaining straight and curved sections. I will probably plug away at the straight lengths of track for the next while as it is a very relaxing process. 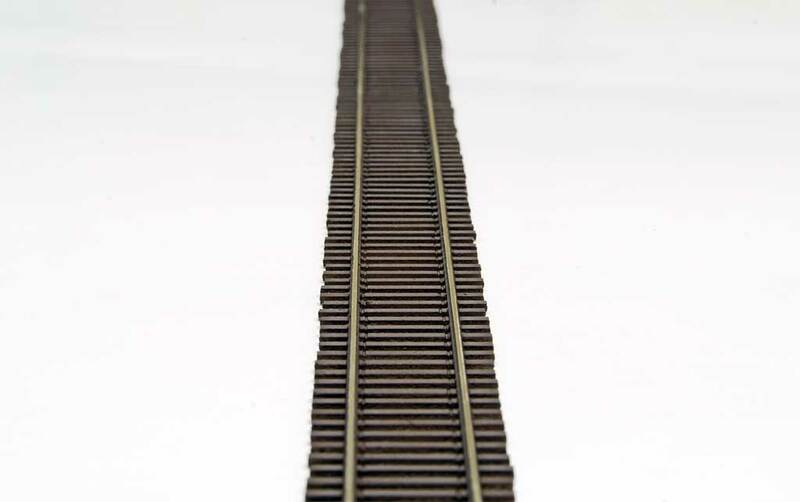 I need quite a few feet of straight track for the yard. You might have noticed that between Part 6 and Part 7 a layout showed up. 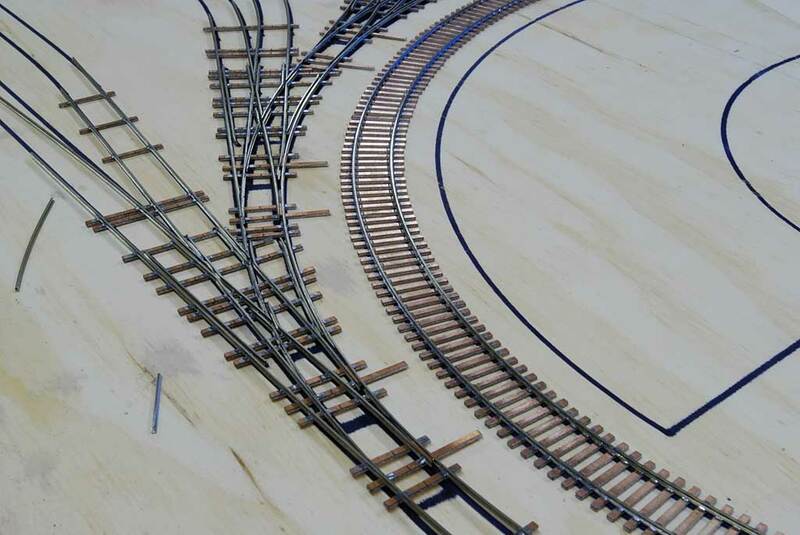 Initially I was going to link all the trackwork construction posts together, but since this layout is much more than just trackwork I decided to add links through the entire build process. To keep watching the progress, just clink on the “Next Section” links at the bottom of the pages. This will take you up to the most current construction post in the blog. So thats what all that stuff does…. 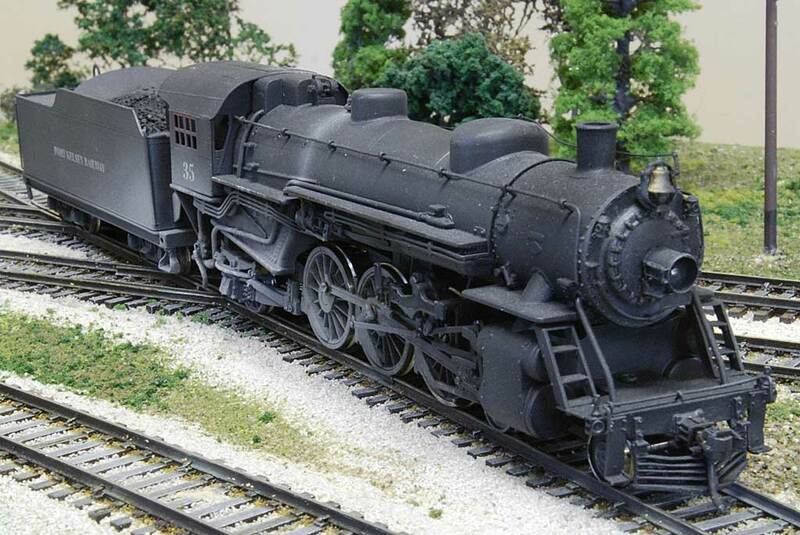 This engine is one of my favorites from the Port Kelsey. 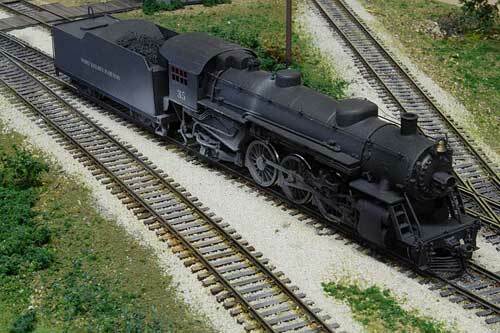 I had Dan Kirlin of Kirlin Scale Models install the decoders. 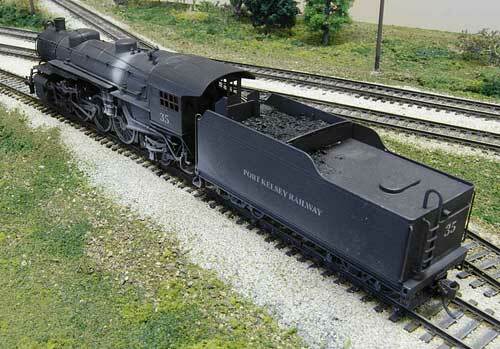 There are two in this engine, one in the engine for power control, and a Soundtrax decoder in the tender for sound control. This eliminates excessive wires between the engine and the tender, there is only one, and it has a miniature plug. This doesn’t add to programming complexity as they are tied together. He did an excellent job. 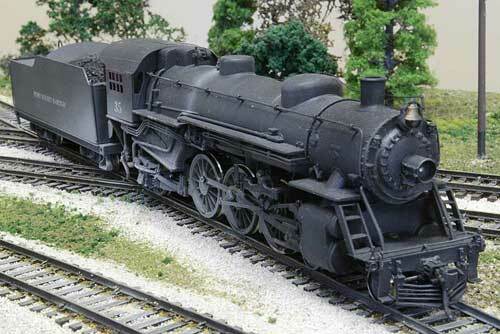 In addition to this, I painted and weathered the engine to reflect a hard working Pacific. 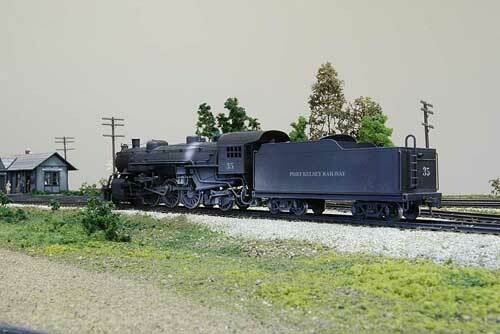 I used it in passenger service on my layout. Its lettered for the Port Kelsey, painted on, not decals, so the results are very realistic. This engine is a great runner! Very smooth due to its large motor and precise gearbox. 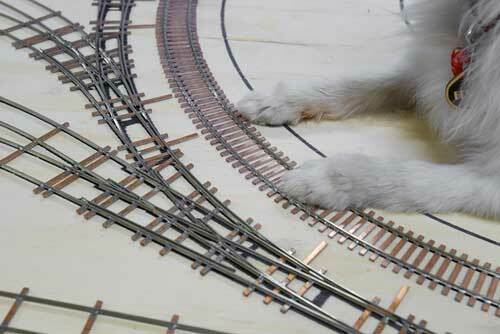 All the drivers are sprung for good electrical contact and traction. 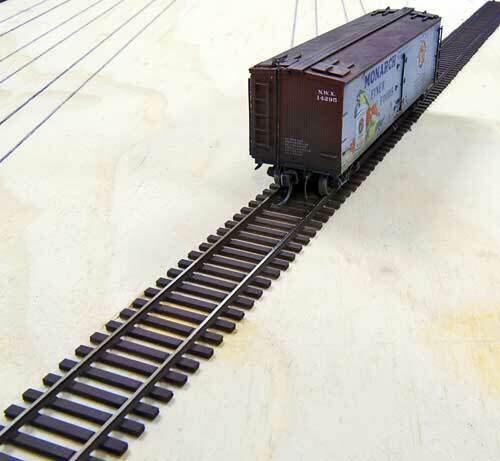 The tender trucks are also wired for good conductivity. 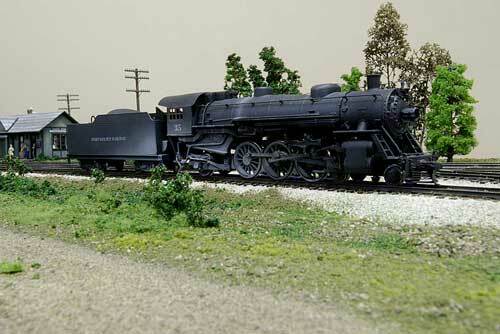 This engine is a real gem! Own a piece of the late Port Kelsey Railway!